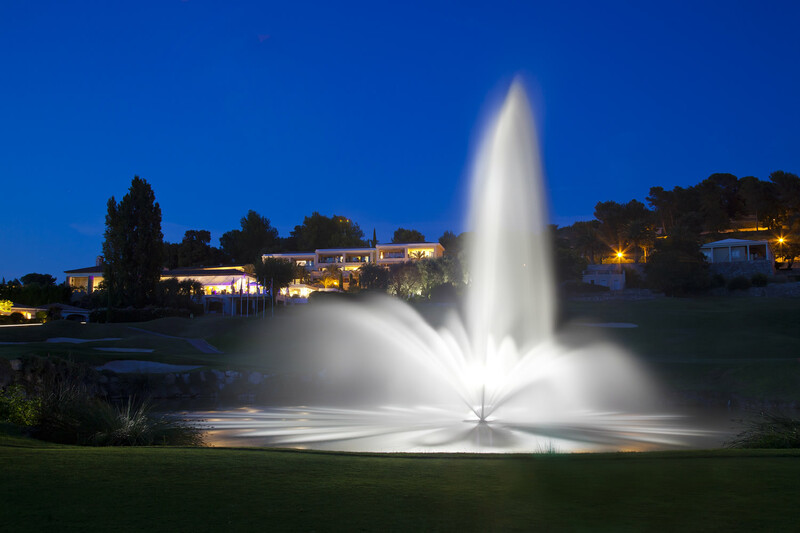 Located in the cosy medieval village of Mougins – once home to such great people as Christian Dior, Yves Saint Laurent, Pablo Picasso and Winston Churchill, The Royal Mougins Golf & Resort offers utmost serenity and elegance for anyone wishing to have a truly unique wedding celebration in Côte d’Azur. 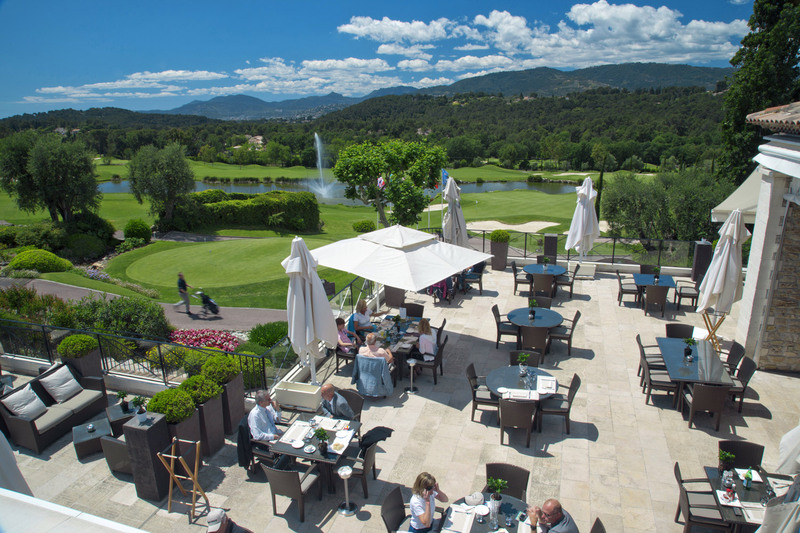 A range of spectacular reception spaces for any kind of event, luxury spa, sophisticated suites with terraces and exquisite restaurant run by renowned chef – these are just a few details that make The Royal Mougins such a sought-after wedding venue in the South of France. 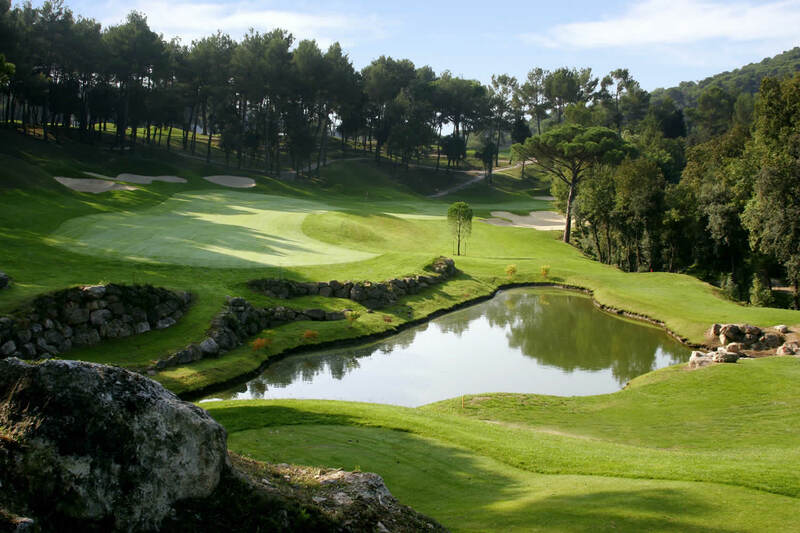 Designed by world famous American architect Robert Von Hagge, the hotel faces a sea of lush green golf courses edged by olive trees and ancient stonewall terracing. 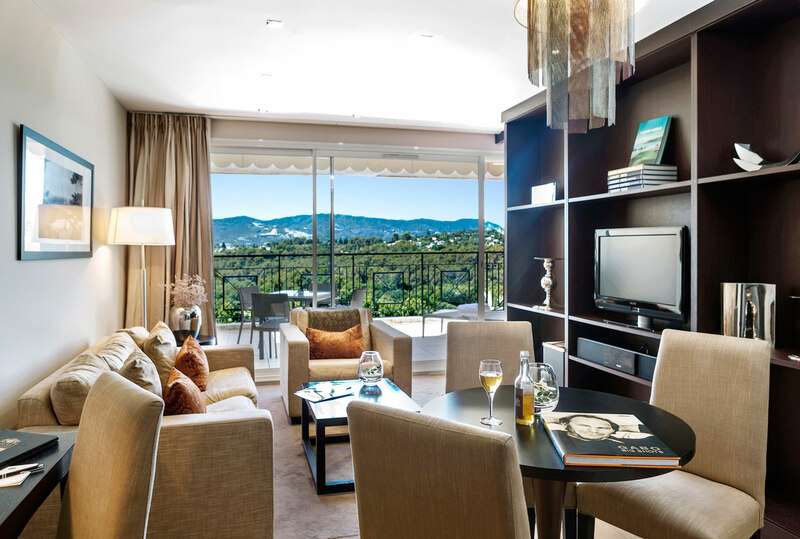 Each of the 29 suites of the resort is elegantly decorated and furnished as individual apartment with kitchenette, study, dining room and bedroom with king-size Sofitel beds, as well as beautiful bathroom with bathtub and shower. 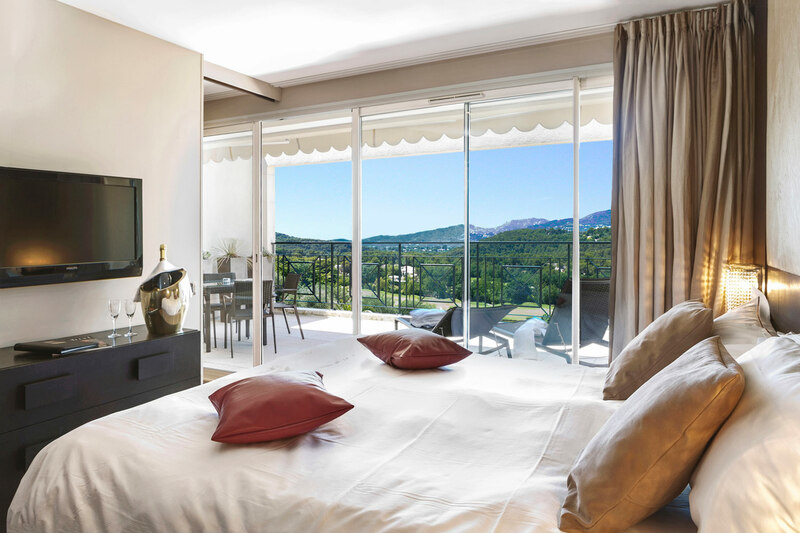 Each suite has a spacious 25 m2 terrace with chaise-longues and nearly each one boasts stunning panoramic view over the golf course. 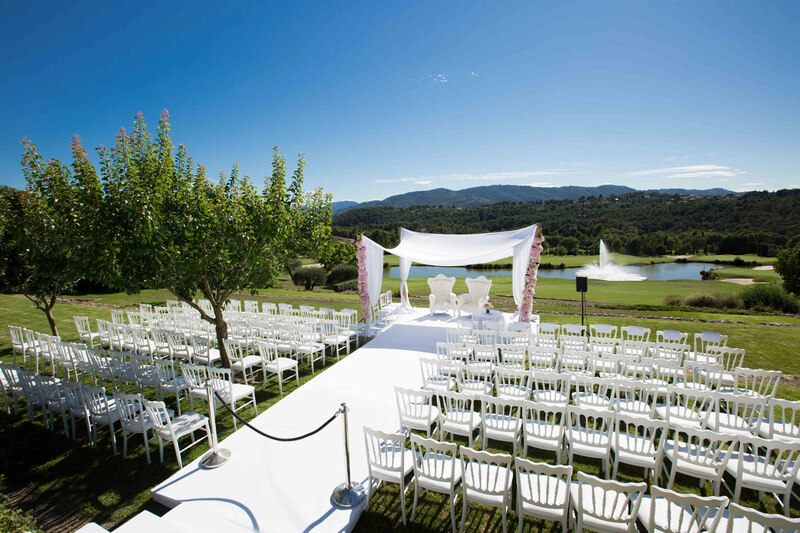 Wedding ceremonies are usually held at Les Restanques – a breathtaking step-like terrace facing the enormous golf course with a jet fountain in the background. Trust my word on it – it really is unbelievably beautiful scenery. As I mentioned, the terrace is formed of several spacious steps, which gives a perfect view over the ceremony for all your guests (no more “the ONLY tall guy sitting right in front” stories). It also provides for an utterly dramatic bridal entrance, as you will be going down the (set-up for the day) stairs while your guests will be looking at you from below. After the romantic ceremony the wedding party proceeds to the Espace Fontaine Terrace located within arm’s reach of the ceremony. 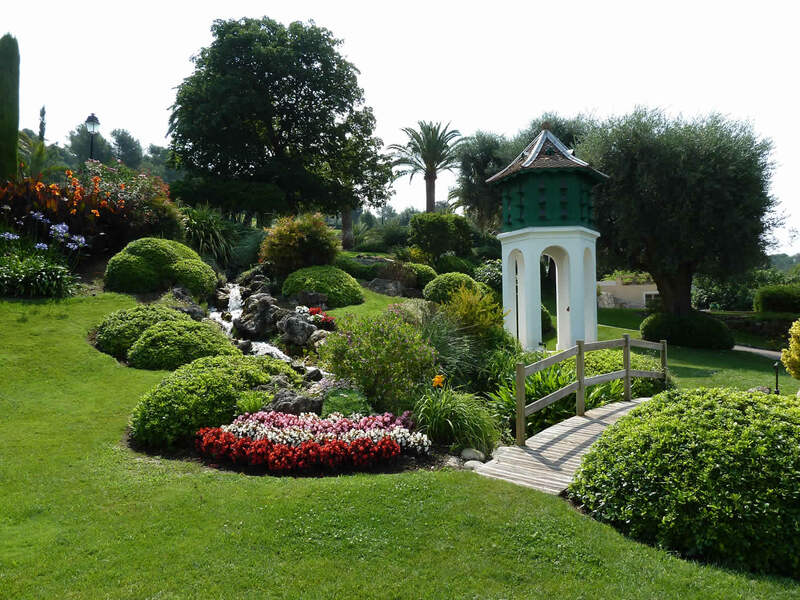 It is an ideal spot for you to mingle with guests and receive greetings while your photographer will take advantage of the exceptional scenery. 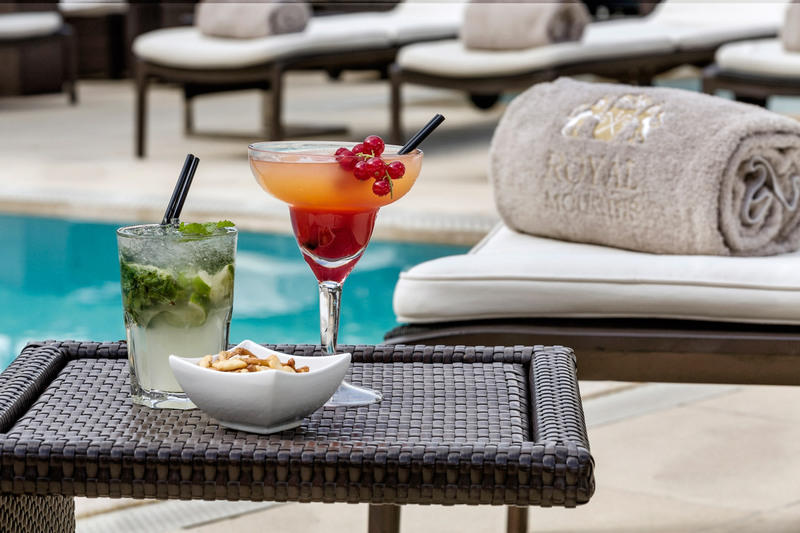 As this elegant resort is also famous for its exceptional spa facilities, it is only logical to say a few words about, well, spa. Your bridal party will absolutely adore the 450 m2 of luxurious pampering with high end products for face, body and hair. 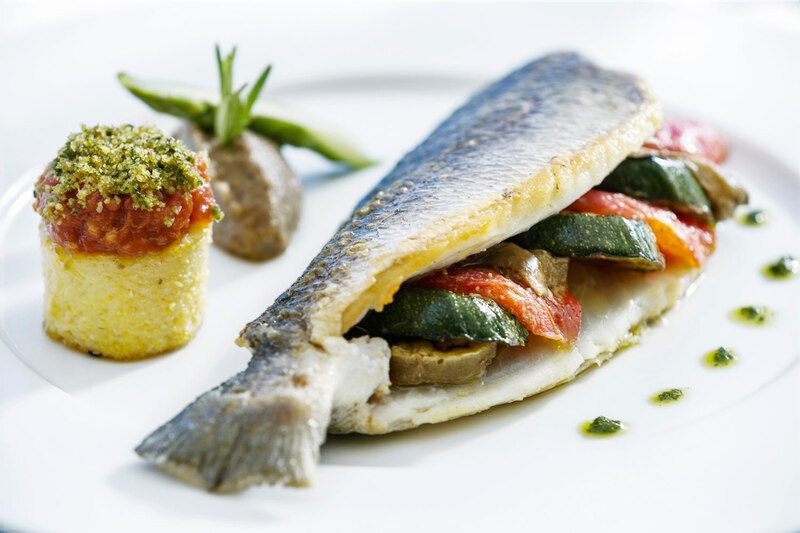 Infinity pool, Jacuzzi, hammam, sauna, relaxation room snack bar and fitness studio are all at your disposal here. If you decide not to go for a full privatization of the hotel but still wish to spend quality time with your bridesmaids (bachelorette party, anyone?) 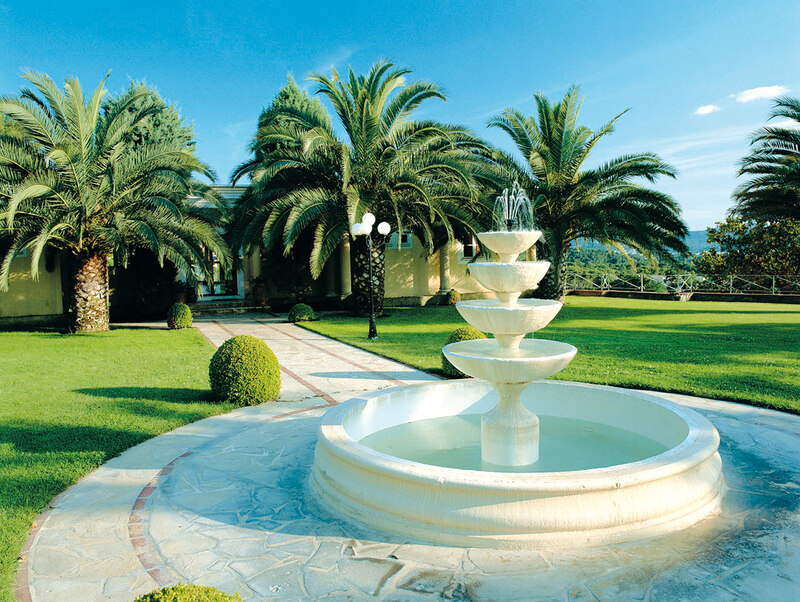 and family members without prying eyes, the hotel offers you a full spa privatization option at reasonable rates. 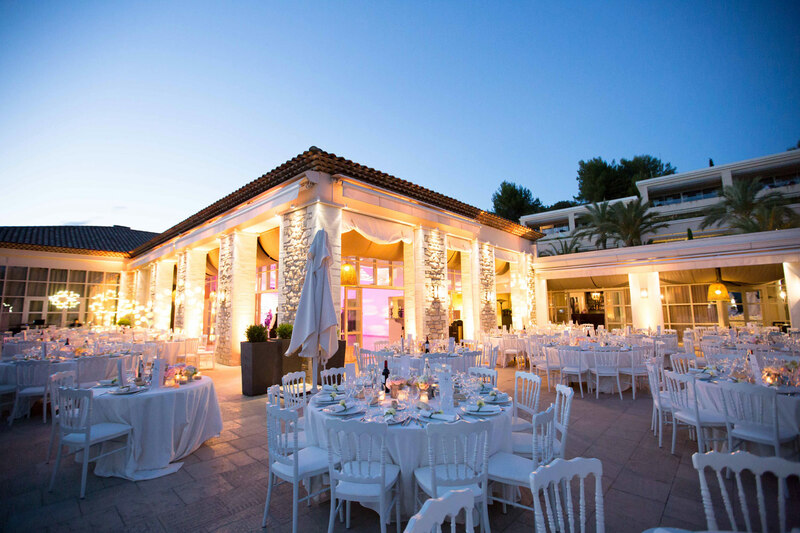 Please contact me to enquire about any aspect of your wedding in Cote d’Azur. 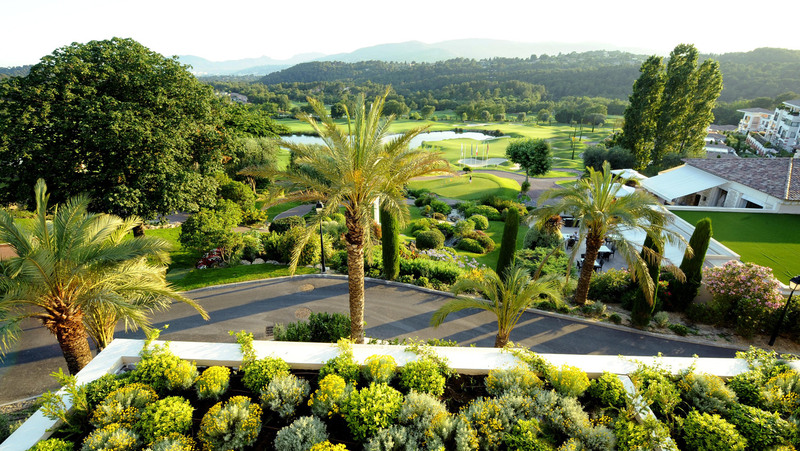 If you wish to organize your special day at The Royal Mougins Golf & Resort, I can arrange a visit to check the availability for your desired dates and negotiate the best rates for your wedding package.